To see whether you have fertile soil, run a soil test to determine if the nutrient levels are correct. The test will show whether your soil is balanced and has the right amount of nitrogen, potassium and phosphorous. You can contact Oxfarm Organic Limited to test your soil. Most plants thrive only when the soil has the right balance of acidity and alkalinity. If the soil is too acidic, or below 5.5 on a soil pH scale, you’ll need to add ground limestone. If it’s too alkaline, more than 7.5 on the pH scale, you should add soil sulfur. Using a drop spreader can help ensure you distribute either soil supplement evenly. If you don’t test your soil on a regular basis, an easy way to check its quality is through a visual inspection. Soil should be composed of crumbs of various sizes that hold their shape while under a little bit of pressure. If it’s difficult to break up these crumbs, it’s an indicator that the soil is too hard. Composting is a great way to give back to the environment and your garden. Instead of throwing your grass clippings, coffee grinds or vegetable peelings in the trash, collect them and all of your natural food waste for your plants. You can buy a composting system or make one at home using household items. When you use compost in your garden it provides your plants with the microorganisms they need to be healthy. To ensure the compost will be effective, evenly spread a three-inch layer to the top of your soil. It will serve as a sort of protective insulation. Along with stimulating growth in your garden, composting can also help keep harmful insects away. One crucial element of farming that is often overlooked is the quality of the soil. High quality soil can ensure that your plants thrive and your farm sustains itself for years. All livestock manures can be valuable additions to soil — their nutrients are readily available to soil organisms and plants. 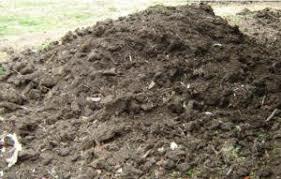 In fact, manures make a greater contribution to soil aggregation than composts, which have already mostly decomposed. However, because some nutrients from manures are so readily available, they are more likely to leach out of the soil (where they’re needed) into groundwater and streams. Also, if manures are overused, they can provide excess amounts of some nutrients, especially phosphorus. Because of this, it may be best to restrict fresh manures to heavy feeding, fast-growing crops like maize, and process additional manure by composting. You want to keep bugs out of your vegetable garden, but some pesticides may damage your soil. Instead of spraying pesticides and chemicals, use your compost, mulch and bio-stimulants. Bio-stimulants include compounds and microorganisms. While you can’t avoid keeping out invaders all together, this combination will make your garden less vulnerable to insects. Crops that are grown in gardens with adequate phosphorous will be larger and healthier. Rock phosphate contains nickel, iodine, zinc, boron and other properties that help your plants to grow. All you need is a bag of rock phosphate from your local gardening store to sprinkle over your garden. If you do that once every two years, you’ll notice a big difference in the quality of your plants, fruits and vegetables. Now that you know some ways to help improve soil quality, you’re ready to start farming.